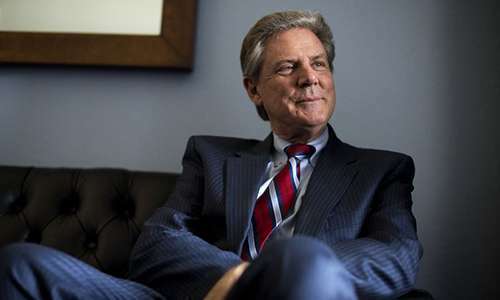 US Representative Frank Pallone, a New Jersey Democrat, has fired one of the earliest salvos regarding the legality of daily fantasy sports sites offering their services across the United States. 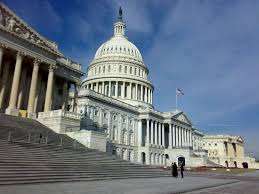 On Monday, Rep. Pallone, a member of the US House of Representatives’ Energy and Commerce Committee, filed a request for his committee to look into the connections between such sites, commonly abbreviated as DFS, and other forms of gambling. Pallone’s request comes amid increased scrutiny over the fledgling DFS industry, which was specifically designed as a workaround against other forms of sports betting that have banned for a quarter century in most US states via the country’s onerous PASPA statute, which despite recent challenges remains the law of the land. The request to Pallone’s Energy and Commerce committee to look into the real workings of DFS comes amid a flooding of US media markets by the two largest US-based DFS sites, DraftKings and FanDuel. Both DFS companies received hundreds of millions in corporate investments in recent months, and both have launching suffocating media blitzes — particularly on major US-based sports networks — as the National Football League has begun 2015 regular-season play. Pallone, who describes himself as “a strong advocate for legalized and regulated professional sports betting,” and who believes that national legalization of sports betting would bring billions in tax revenue to New Jersey’s government coffers, has a strong background in supporting such legislation. Along with fellow New Jersey Congressman Frank LoBiondo, Pallone sponsored or supported two bills submitted this past January which would have nullified PASPA’s ban on New Jersey’s sports-betting legalization attempts. Unfortunately, neither Pallone’s HR 457 or LoBiondo’s HR 416 bills, which took separate paths to the same end point of gutting PASPA, ever received serious federal consideration. Meanwhile, the gigantic legal exemption through which DFS sites operate has been forcibly expanded, even as several other states have questioned DFS sites’ legality. Michigan’s attorney general, for example, recently expressed his opinion that DFS offerings were illegal in that state. Several DFS sites, including both DraftKings and FanDuel, have stopped offering their services in several US states. Whether or not the federal loophole that currently allows DFS sites to operate can be adjusted remains to be seen. No hearing has yet been scheduled in connection with Pallone’s request. Further, the same sports leagues which have rabidly fought against the overturning of the US’s PASPA law have already invested in the nascent DFS industry’s growth, as have several of the country’s major sports networks. In other words, they’re as likely to lobby against Pallone’s request to examine (and potentially close) the standing DFS loophole as they are to keep fighting against the overturning of PASPA itself. The loophole itself was derived from a 2002 case, in re Mastercard, in which online payments made for an older form of fantasy-sports betting were ruled to have not violated PASPA’s restrictions: PASPA’s language bans betting on sports teams to perform in certain ways, but not on individual players’ performances. Since players can perform well while their teams do not, these older fantasy-sports forms were ruled not to have violated the law. Such fantasy sports were then specifically exempted within the language of the 2006 UIGEA (Unlawful Internet Gambling Enforcement Act), which was designed to attack several other forms of gambling as well. Still, it took several more years for the current DFS formats to be popularized, with this year’s mainstream-media push part of that growth. It’s true that what the government giveth, they can taketh away as well. Yet it remains to be seen whether a national push to examine DFS sites’ legality will be undertaken, or whether it can be tied back, as Pallone surely hopes, to the PASPA ban against more traditional sports-betting forms.